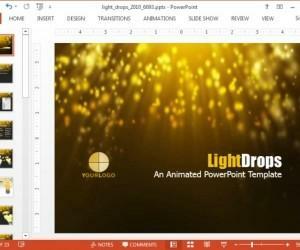 A bright idea is best expressed with a glowing light bulb and what better way to demonstrate your ideas before an audience than to use an animated template with light bulb animations. 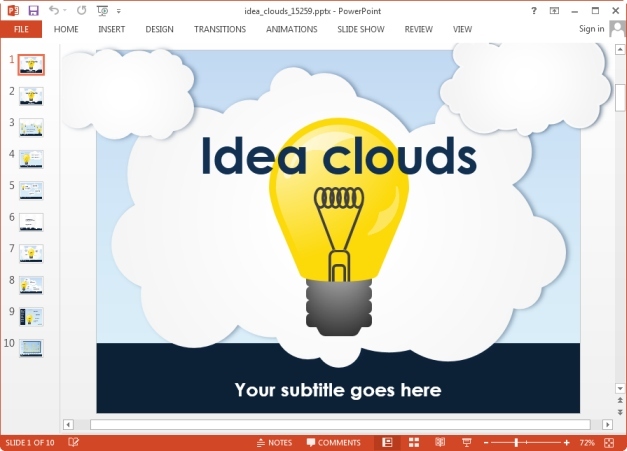 The Idea Clouds Template for PowerPoint is an animated presentation template which can be used for brainstorming sessions, presenting your business idea, educational events and when you simply require showing your bright idea before an audience. 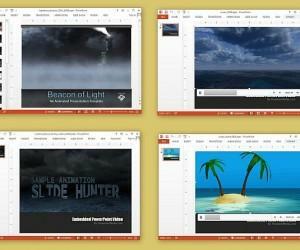 This light bulb PowerPoint Template starts with a customizable animation of a light bulb amidst clouds, with placeholders for adding your own title and sub-title. 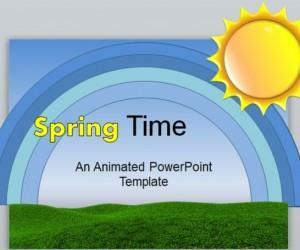 This opening slide is also available as a static slide in this PowerPoint Template. 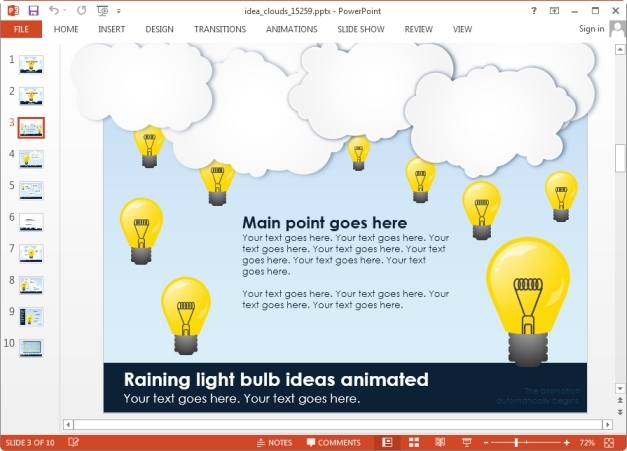 There are various interesting slides in this template which depict ideas in the form of light bulbs, with clouds in the backdrop. 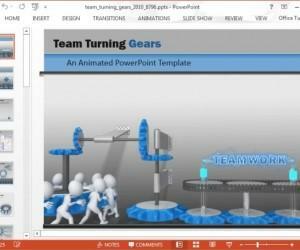 The variety of these animated slides make it possible to create different types of presentation slides, ranging from text heavy slides to picture slides and even timelines. 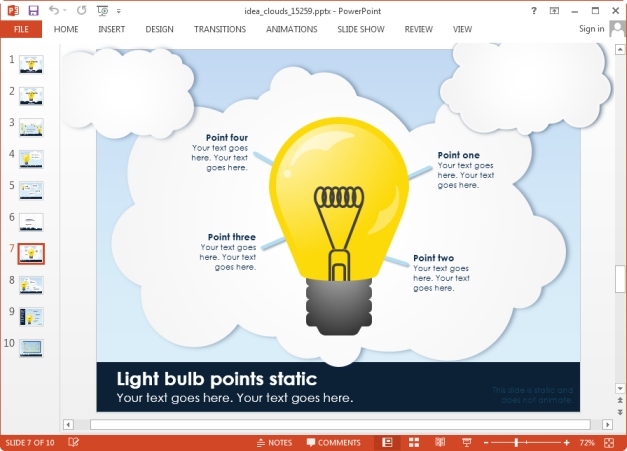 The light bulb objects can be added, removed and rearranged via drag and drop to suit your needs. 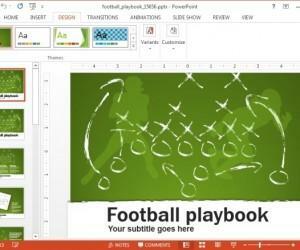 Hence, you can easily mould the template to match your requirements. 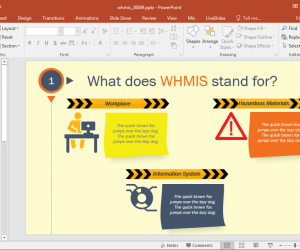 Any content you include in the animated slides is automatically mashed with the animated layouts, which means that your added text and images will not affect the animations in the slides but rather enable you to let the animations complement your inserted text and images. 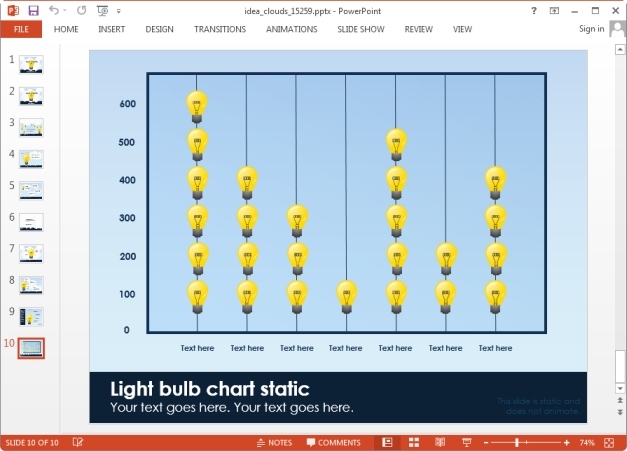 The template also provides a sample, editable chart with light bulb icons that you can move and copy-paste to create a custom charts with idea themed light bulb images. By rearranging and adding new bulb (via copy-paste), you can display boring statistics in an interesting and attention grabbing format.